After listening to your feedback on what you wanted to see from WPML, we have added a number of great new features over the last 12 months. And we are hoping to introduce even more features which you have asked for in the coming year. 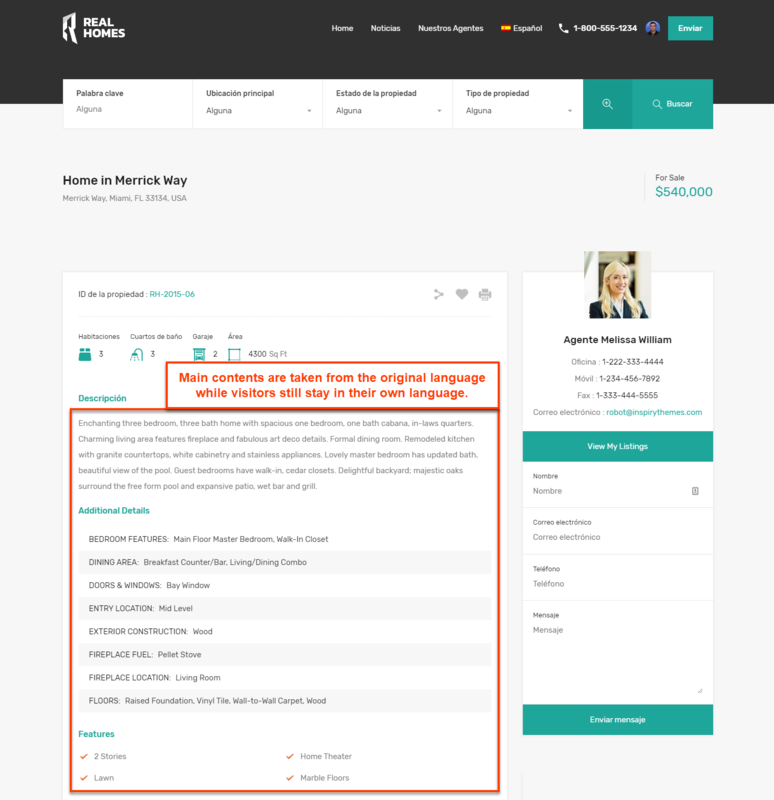 Our new translation manager role allows you to assign someone to concentrate on managing the translation work without having to worry about the site administration. Once you’ve setup the translation manager using our wizard, they will be able to assign translators or translations services and send them content for translation. They will be able to do this safe in the knowledge someone else will be in charge of the website’s maintenance. WPML is compatible with the current development version of Gutenberg ahead of the release of WordPress 5.0 and its new editor, It means that you can experiment and familiarize yourself with how our plugin works on Gutenberg before its release in the coming months. WPML has introduced taxonomy base slug translation which will allow you to translate the URLs for your taxonomy pages. Not only will it make your pages look even more familiar to users who are browsing your translated content but it will also further improve your search engine performance on the likes of Google. 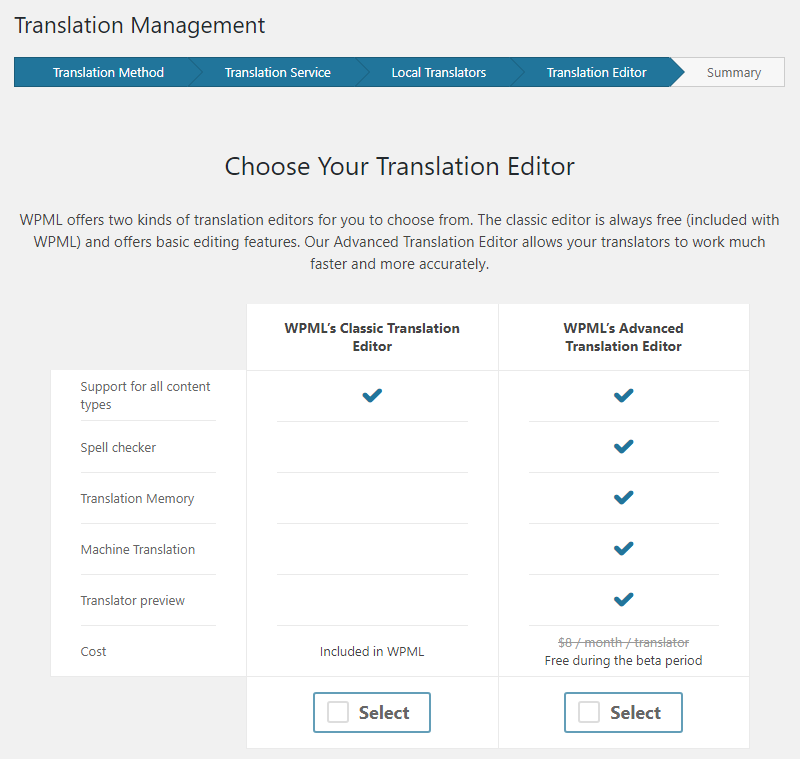 WPML’s new Advanced Translation Editor will help you to translate content more quickly and accurately than ever before. Advanced Translation Editor offers among other features translation memory which automatically translates any repeat text, a spell checker to avoid errors and an instant machine translation which professionals can review and improve upon. You can now add priority status to your posts, pages and strings which will tell translators which tasks are your most important. By a simple click of a drop-down menu on the edit page, you can prioritize the most urgent jobs. In addition, you can also set translation deadlines for your content which will inform translators which jobs they should work on first and when they are due. WPML’s Media Translation tool gives you complete flexibility when it comes to adding images for translated content – whether you want to keep it the same or replace it. With Media Translation you can simply display the same image for each language without having to manually duplicate them. Alternatively, you can choose different images if they need to be translated. 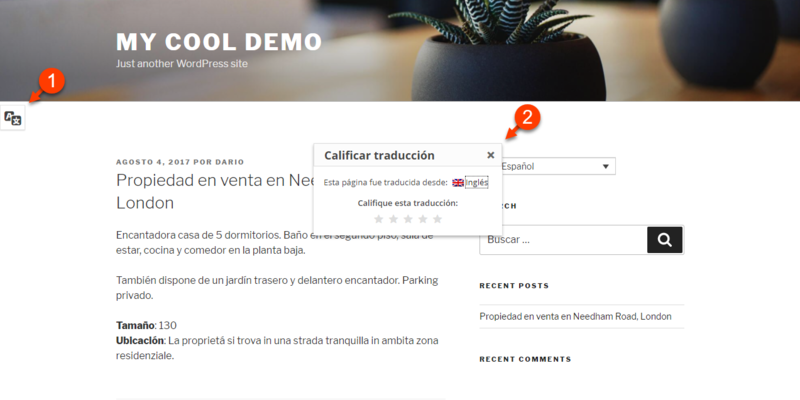 You can now easily display untranslated content in your default language on pages in secondary languages. This is a great option for e-commerce, listing, and directory websites where you might need your post types or taxonomies to appear immediately without waiting for translations. And you don’t need to worry about SEO as Google ignores these duplicates. You can easily display untranslated content in your default language on pages in secondary languages. You can now edit your original content even if it’s currently being translated without fear of losing any of the translator’s progress. Now, if there is a spelling mistake or if a paragraph needs to be changed in the original content you can edit it. All the translator has to do is retranslate the new sections rather than starting from scratch. WPML can now provide a major performance improvement to your website by implementing automatic .mo scanning. Instead of making changes to your website, WPML can check your requirements and run the best settings without you having to do anything. Your translations will be more accurate than ever thanks to our translation feedback module which allows your visitors to rate your content and even offer feedback. WPML sends these reports to your translators who can fix any outstanding problems immediately. WPML’s end-users accounts make it easier for the site’s owners to learn how to run multilingual sites without relying on developers to teach them. End-users will benefit from user guides tailored to their site based on their themes and plugins as well as a support forum. Meanwhile, end-users accounts alleviate the workload of developers who can concentrate on the development process and support. WPML allows you to create and edit a custom wpml-config.xml to improve the overall compatibility performance. You can fix any compatibility problems with themes or plugins yourself without relying on support. All of these features are available now on WPML if you have an updated account. Here is what we are hoping to introduce to you in the coming months. The launch of WordPress 5.0 and its new Gutenberg Editor may be only months away but WPML will make sure you are ready for it. WPML will be fully compatible from its launch with a streamlined interface for translation as well as a smooth integration with the new editor. We will make sure that anything you design with a page builder can be translated with WPML. This will include the new elements that page builders have recently added. With WPML you will soon be able to synchronize translations between your staging and production sites. Currently, any translations on staging sites get overrun by changes on the production version unless you manually export and import into WordPress – which is a painful process. But soon you will be able to continue working on them when you move to go live. You will soon be able to translate texts in serialized arrays that come from the most popular plugins and themes including ACF and Yoast SEO. WPML will add support which will be able to extract the texts and make them translatable. Download WPML today to take advantage of our new features and ensure you don’t miss out on what we have coming up.